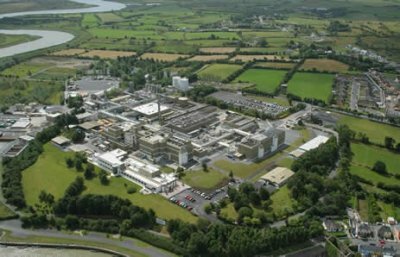 Roche Ireland Ltd. Clarecastle, Co Clare. Various projects between 1995 and 2001 including Drainage at Pures Area, Macerator, Recovery Unit, Maintenance works, Drainage works, Effluent Tank, Upgrade of existing facility and Maintenance works. 2000 Macerator Civils work associated with new Macerator including new bases, drainage, paving, fencing etc. 1998 Drainage Works Complete overhaul and upgrade of full storm water, foul water and chemical waste drainage network. Upgrade of existing facility Upgrade of existing Facility for new drug manufacture. Works included altering existing building; Mechanical & Electrical services upgrade. New Clean room facility; new epoxy resin flooring throughout installation of new production equipment etc.